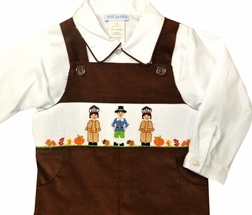 Sweet smocked longall by Vive La Fete for Thanksgiving. 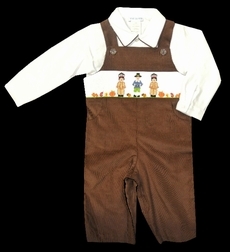 The longall is made with brown corduroy fabric and is completed with a white blouse. 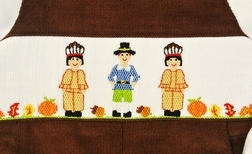 The smocking is embroidered with a pilgrim and his two indian friends.